With a population of 38,448 and an area of only 9.92 square miles, this is a beautiful little town to raise a family in the DFW Metroplex. Hurst was named after "Uncle Billy" Hurst in 1909 because he agreed to let the railroad lay tracks on his land so there could be railway connecting Dallas to Fort Worth. All he asked for in return was for the train station to be named after him, and instead, the city of Hurst was named in his honor. Hurst is part of the wonderful H-E-B Independent School District and has beautiful parks and greenbelt system for all ages to enjoy all year long. Hurst is home to the North East Mall - one of the larger malls in the DFW area. 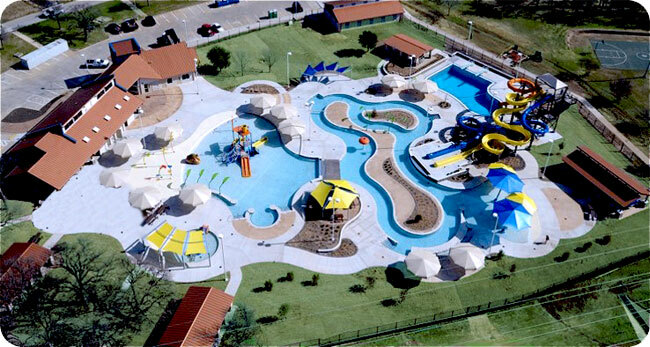 In the summer, your family will love to play at the Chisolm Aquatics Center - one of the fabulous public pools of Hurst. Hurst has a great sense of community, as there are always fun, educational and creative things to do to stay connected with those in town. See here for a calendar of local events.